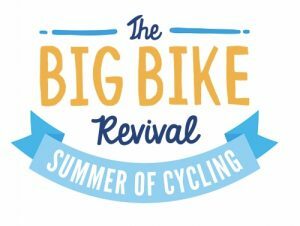 Cycling this summer is being made even more attractive by Cycling UK (formerly CTC), who have awarded Broken Spoke a grant to fund a bunch of activities during July and August, as part of the national Big Bike Revival 2016. What does this involve, you say? Well, we’re amplifying some of our normal stuff and we’re trying out a couple of new events, all with the aim of inspiring more people to ride bikes. Open workshops – we’ve been awarded funding to boost and improve our drop-in DIY workshops. Worn out tools are being replaced, shiny new parts are being purchased, and even some of our mechanics’ wages are covered! Bring your bikes in for a tune-up and get a free high five or a brew while you’re at it – see the FAQs for our opening hours. Group cycle training – we’re hosting several group cycle training sessions; the main event is on 17th August from 5:15 ’til 7:30 pm. Book your spot here. Need more convincing? Here you go – it’s free! Learn how to ride a bike – for those who are yet to learn how to ride a bike, we have 2-hour one-to-one lessons available for just £5! We will teach you how to balance on a bike, helping you take that big step towards the joy of cycling. There are only 6 of these lessons available – click here to book yours now. All of our events are open to anyone of any age, provided those under the age of 18 are accompanied by a parent or guardian. To find out about what our cycle training involves, visit our Cycle Training page.